Walter Greenwood’s tale of 1930s Salford in the midst of mass unemployment and poverty. Jonathan Miller’s updated production of Mozart’s classic – if rather anti-feminist – tale of the fickle nature of women. This ultra-modern production apparently even involves iphones. Originally seen in a shorter version in The Tricycle Theatre’s The Great Game season. 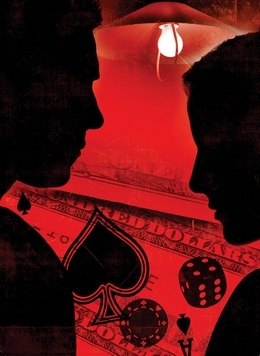 David Mamet’s thriller about the con, high-stakes poker and gambling, adapted for the stage by Richard Bean. A revival of Complicite’s 2007 play about mathematical patterns and puzzles and the men who spent their lives pondering them. This production will also be broadcast as part of the NT Live season on 14 October.